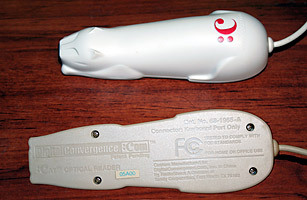 Released at the height of the tech boom in the late 1990s, the CueCat was a massively expensive failure. Millions of the cat-shaped bar-code scanners were produced and shipped for free across the U.S., in hopes that people would use them to scan specially marked bar codes to visit Internet sites. (How this was easier than a typing a link, the company never did answer.) Despite a much ballyhooed launch, with CueCat codes printed in Wired and BusinessWeek, consumers never got into the idea of reading their magazines next to a wired cat-shaped scanner, and the CueCat became little more than a high-tech paperweight.